It’s Friday, so it’s time for some upbeat and raucous fare, which fills up The Matinee ’18 August 3rd edition. Let’s get rocking and rolling! Don’t forget to check back tomorrow for our Weekend Playlist which includes all of the awesome new tunes from this week. Most of us have a friend whose face lights up when you ask for a music recommendation. They’re the one who gushes about the great new band they saw recently in a tiny venue. They’ll play a snippet of a song, then quickly play another – and a few more after that. This is exactly how we feel about Brooklyn-based indie rockers Baked. Last week we were that friend who gushed about their buzzworthy “Hope You’re Happy” single. Those engrossing riffs stayed on constant repeat until we heard their newest, the almost three-minute masterpiece called “A Hartlett Anthem.” We were instantly hooked by the bold, fuzzed-out wall of guitars. While their sound is fresh, it does take you back to the ’90s when you’d spend hours playing air guitar along with your Dinosaur Jr. and Pixies CDs. Maybe these guys cut their musical teeth on a diet of grunge and garage rock. Maybe they studied the masters – like Bob Mould, Thurston Moore, and Frank Black – to achieve their authentically vintage sound. Or maybe they’re just really damn talented and sound this good without influence. Either way, “A Hartlett Anthem” soars with fierce licks. You can grab your copy of their EP, II, on August 24th. That’s when Exploding in Sound Records will release it through their The EIS Tape Club. Trust us: this is a band you should start following immediately. They’re going places. Baked are: R.J. Gordon (guitar/vocals), Isabella Mingione (keys/vocals), Jeremy Aquilino (bass/vocals), and A.J. Pantaleo (drums). Cosmic Strip have released a new single titled “Heavenly”. It not only is a song about remembering the feeling of your first love, but it also feels quite heavenly and well, cosmic. The combination of saccharine vocals by Camella Agabalyan and layers of dreamy guitars with just the right amount of reverb makes for a perfectly constructed slice of dream pop. 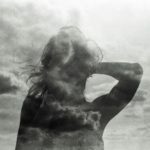 “Heavenly” is the first single released from their upcoming debut EP of the same name. 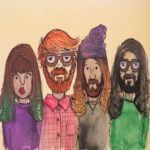 Cosmic Strip is self-described as “music to watch girls by, music to move the stars.” The band have not only received online buzz, but they have played festivals such as The Great Escape, Citadel and The Wilderness Festival. Cosmic Strip will have the upcoming release of their debut EP and they could have the potential to break out in a big way like Alvvays or Wolf Alice. This band might just need to be added to your ones to watch list. Music has the power to lift your spirits. It can inspire you, make you dance and sing, and pursue your passions. Basically, music is the responsible counterpart to its wild and crazy twin, alcohol. Sometimes you hear a band who create the kind of sonic magic that makes you feel especially alive. So what better time than the weekend to share such a tune? And who better to concoct such a tasty treat than the 20-year music veterans known as The Cuban Brothers? Their highly danceable “I Hate Hate” will light a fire in even the most introverted souls, sending sparks flying from head to toe. The tropical flavors here ignite to produce an irresistible, fiery blend of disco and salsa. 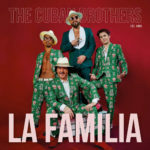 So whether you’re from Havana or some non-tropical (like, say, Scotland), The Cuban Brothers have the musical spice you need in your life. Look for their upcoming compilation, La Familia, that’s due August 24 from Sunday Best. You can pre-order it here. Get those air guitars, pretend drum kits, and invisible bass ready because you’ll be hammering at your favorite, imaginary instrument as you spin Ladada‘s rollicking new single, “Western Wash”. Akin to the infectious surf-instilled, psychedelic garage-rock of Mikal Cronin and Aussie faves Dune Rats, the Josiah Schlater-founded outfit deliver one crunchy hook after another while creating the feeling we’re simultaneously cruising the California coastline in the ’60s while falling through the proverbial rabbit hole. The quartet also smartly add a lush bridge in the middle just to allow us (and likely them as well) to catch our collective breath before the stupendous finale. This is when you need to get three other friends together and then create your own air-band with each of you whaling hard on a particular instrument. It’s an awesome track that reminds us that guitar-drive rock is alive and kicking. The song is taken from Ladada’s forthcoming debut album, Heaven on the Rocks, which is expected in October via Gold Robot Records. Pre-order it here. With the resurgence in southern soul and blues-rock, many may cite Nathaniel Rateliff & the Night Sweats or even Fitz & The Tantrums. However, one needs to look even further back and towards New Orleans, where The Revivalists have been honing their craft for over a decade. Through constant touring and just old-fashion hard work, they’ve established an extremely loyal fan base, many of whom first saw vocalist David Shaw, guitarists Zack Feinberg and Ed Williams, drummer Andrew Campanelli, bassist George Gekas, saxophonist Rob Ingraham, keyboard and trumpet player Michael Giradot and percussionist P.J. Howard at a festival. Now with the backing of Loma Vista Recordings (home of St. Vincent), their popularity should rise exponentially in the coming months and weeks. 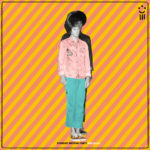 Their first single with the excellent indie label is very much like the band. 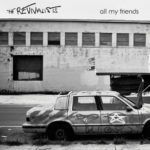 “All My Friends” is a retro soul-rocker that will fill up any arena, stadium, and amphitheater. It’ll make people shake and move, as the sizzling horns and groovy rhythms fill the air. Then there’s the bluesy lead guitar, which could be the great late B.B. King playing. Shaw, meanwhile, provides more feel-good vibes with his uplifting lyrics and message, which center around how the collective shall overcome these unusual times. And with a band like The Revivalists bringing some sweet sounds, we will indeed persevere. The band’s yet-to-be-titled fourth album is due this autumn via the aforementioned Loma Vista Recordings. Today (Friday, August 3rd), the most excellent Ron Gallo will be performing at Osheaga in Montreal, and he has the unenviable task of playing the very first show at 1:00 PM. But after seeing him a handful of times, we know he’ll be up for the task because he’s, well, just awesome. He’s also the type that will play every show like it’s his last no matter how many people will be in the room. Another to know about him is that he’s one of the hardest-working musicians around, constantly touring and writing. In two months time, he’ll release his third album in two years, and the lead single from Stardust Birthday Party requires one to turn up the volume. “It’s All Gonna Be OK” is one riot of a track – or at least at the beginning. For around two minutes, Gallo along with Joe Bisirri (bass/vocals/keys) and Dylan Sevey (drums/vocals/percussion) deliver a roaring and rambunctious garage-rock tune Everything is delivered with the ferocity of a college band playing their biggest gig in their early careers. Gallo and crew, however, are seasoned veterans, as they execute the track with the precision of the USAF Thunderbirds. Speaking of which, Gallo’s lyrics are timely, as he tells us that despite the madness around us things – which is depicted in the song’s final 50 seconds of oft-kilter blues-jazz – will eventually be all right. Just when we thought we had Gallo figured out, he throws us a curveball. Stardust Birthday Party drops October 5th via New West Records. Pre-order it on Bandcamp. 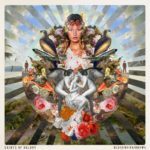 SAINTS OF VALORY recently released their latest album, BLEEDING RAINBOWS. It has been totally self produced which has allowed the trio to truly reinvent their sound and provide 12 solid tracks on the album. SOV have been able to craft upbeat indie rock for sometime now and with this newest album we hear them sliding into more of a synthpop vibe. “Bones (Free At Last)” is a hopeful track as it speaks to letting go of some of the things in life that might be holding you down and finding hope in a relationship that allows the feeling of freedom.The addition of a bit more synth in this track provides an upbeat and dance ready track for the upcoming weekend or even staying hyped when working out. SOV’s newest album is out now on all platforms. Saints of Valory are Gavin Jasper, Godfrey James and Stephen Buckle. Finally this week we’re ending on a sunny note with this seasonally-appropriate anthem. 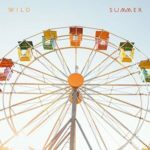 “Summer” from Los Angeles-based indie pop trio WILD is the soundtrack to your carefree days and nights. This time of year is when you crave all the breezy, feel-good things life can offer: mojitos and sunshine, lazy beach days, and road trips with the people you love most. This song captures the joy of riding with the car windows rolled down. When you hear frontwoman Lauren Luiz sing “Everything feels better with you and me,” you may find yourself smiling as you think about your first teenage crush. No matter how old we get, there is a part of us that is forever searching for the tingly rush of first love. We long to feel the vibrance of youth and all its limitless possibilities. Those are the feelings distilled into this song. 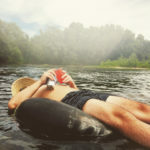 The bold vocals and the radio-friendly hook of the chorus make “Summer” a song you’ll want to belt out every day until you finally have to break out the hoodies and scarves. And even then, you’ll probably still be humming along as your summer memories keep you warm. Keep an eye out on this group. We have a feeling they have a very bright future ahead of them, with plenty of festival appearances where this instant classic will likely be a crowd singalong favorite. This single is out now via Nettwerk Music Group on Amazon and iTunes. WILD are: Lauren Luiz (vocals), Zach DeGaetano (vocals/guitar), and Tyler Thompson (guitar). Late last night, YONAKA provided an unexpected surprise with their latest single, “Waves”, which follows just over a week after they shared the mega-anthem “Fired Up”. If anyone, including ourselves, thought that song was big and bold, “Waves” is another level. 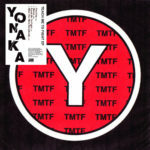 This is the YONAKA that we’ve come to love and know. It is the TNT of alternative rock – a song that sizzles at the start and then explodes into one mind-blowing and roaring spectacle. George Edwards leads the way with his fiery guitar. Meanwhile, bassist Alex Crosby and drummer Robert Mason at first methodical guide the track but then deliver bombs of cathartic rhythms. Front woman Teresa Jarvis, however, doesn’t wait to deliver uppercuts and body blows. Her assertive vocals take immediate aim at one individual or many others who attempt to subdue her, come at her with a gun, and scream in her face. But she’s not having anything of it. She’s not succumbing to the manipulative and abusive power of a partner or a government. Instead, she’s riding – check that leading – this emerging wave of change. YONAKA’s new EP, TEACH ME TO FIGHT, is out August 17th via Atlantic Records UK. To repeat, the band is comprised of Theresa Jarvis (vocals), George Edwards (guitar), Alex Crosby (bass/keys), and Robert Mason (drums). We’ll say it once more, YONAKA have the chance to be the voice of a young generation.